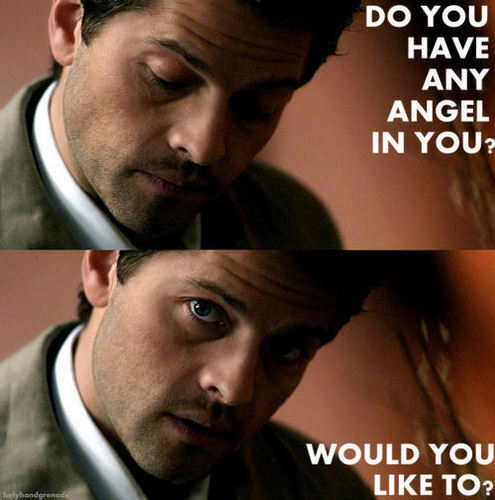 This Castiel fan art contains बिजनेस सूट. There might also be हस्ताक्षर, पोस्टर, पाठ, चॉकबोर्ड, साइन, साइन इन करें, चित्र, headshot, closeup, हेडशॉट, and क्लोज़अप. Once again lmao, and yet awful!